Byron, Wow!.. 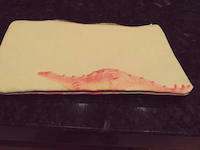 Beautiful work and Congrats on your sale! Super piece Byron. Nice one !!! I am a Big fan of Mary,and you have depicted her beautifully here! voting and promoting! 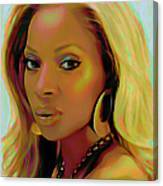 A portrait painting of the singer Mary J Blige. 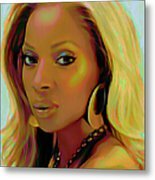 Mary Jane Blige , preferably known as Mary J. Blige, is an American singer-songwriter, record producer, and occasional actress. 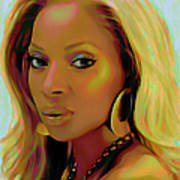 She is a recipient of nine Grammy Awards and four American Music Awards, and has recorded eight multi-platinum albums. She is the only artist with Grammy Award wins in R&B, Rap, Gospel, and Pop. The original is painted with high quality oil on canvas.